Today I'm gonna write about another secret trick! 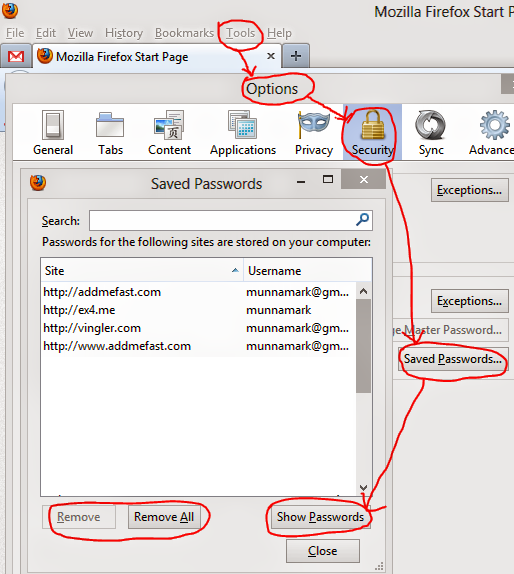 Earlier I wrote about- how to view saved password in Google Chrome. Today's topic is almost similar. But this time, I will write about Firefox. Earlier I told you that password saving option is very handy for the people who frequently need to check their online accounts. And if your saved password goes to the wrong hands the amount of loss can't be measured. So you should know how to save password, view saved password and remove saved password. Okay let's start. Go to the Options from Tools menu. If your menu is hidden then hit on the Firefox button and choose the Options. Here you can see the list of accounts with saved passwords. Choose an account of which you wanna see the password. Then hit on the show password button to see this. If you wanna remove the saved password of any account select it and click on Remove. If you wanna remove all the saved passwords, then hit on Remove All. Finally close and exit the window. That's it. How can I increase my typing speed? Why I can't type like a pro? Could I ever type more than 50 words per minute? Suggestion is also a very typical one. Practice, practice and practice. Sum up all the suggestions about way to typing fast you get throughout the net and from the other people you know. What you'll get is practice. Definitely without sufficient practice you can't type faster. There is no shortcut method. There is no alternative. Secret is in the method of practicing! But today I'm gonna share a secret with you. If you follow this method, surely you can boost your typing speed. Simply try to memorize the movements of your finger while typing a word! You may notice that you can quickly type some words which are very common for you. And you can't type some words fast. Why this problem occurs? Why you can't quickly type all the words? Because you don't know the finger movements for other words. Start memorizing the finger movements of the word you type. And get the result within few hours! Here are some additional tips for you . . .
Get a clear Idea about the location of each key in the keyboard. Any confusion will reduce your typing speed. Type difficult words again and again until you can memorize the finger movements of those words. Never break the typing rules. Such as using 2 or 3 fingers of a hand, looking to the keyboard, wrong position of the fingers. Chat with your friends in G Talk, Facebook or Messenger with a target to type faster. Type at least one hour daily. Example: Suppose you hear a word - Blogger. Immediately after hearing this word you have to think which fingers you should use to type the letters B, l, o, g, g, e, r. Doesn't matter whether you're on a computer or playing cricket. You have to think of it internally. My Own Case: As my blog name is Marks PC Solution, I need to type it very frequently. I can't type Marketing Research as faster as Marks PC Solution. Because I don't need to type Marketing Research frequently and never tried to memorize the finger movements for this word. But if you wanna be faster you've to memorize the movements. And don't try to do this before knowing all the rules of typing. When you are fully aware of the rules and regulations of typing you should practice this method. You can also take help of Typing Master. It's the most popular software to increase typing speed. Download it from here. NB: You must be fully aware of all the rules and regulation of typing. Otherwise you can't get most out of this trick. It was at the end of 2011 when Windows 8 was released for the first time as developer preview version. I installed it on my PC with Windows 7 side by side. Most of the people didn't like it. But I was very impressed just after using it for few hours. Then I decided to remove Windows 7 to continue with Windows 8. Windows 7 was installed on Drive C and Windows 8 was on D. To delete Windows 7 I booted from Windows 8. And tried to format C Drive. But drive C was not formatted! Because Windows files were very much protected. They can't be formatted until you re-install your windows. What should you do now? How will you remove the OS that you don't wanna use? Let's find how to solve this problem. Choose the Operating System you wanna remove. Now hit the Delete button. Open My Computer. Format the drive where removed Operating System was installed. That's it. Not getting ideas about what to write. Because last few days I wrote about all the topics I got within last 7 days! No problem. Today we can discuss about creating backlinks - an essential part of SEO. What is back link actually? It's just your site's link on other sites. Your links maybe on other sites' comment, post, link list etc. When other sites have your link on them search engines consider your site as important one. The sites with higher backlinks get the priority while showing in the search result. But search engines' policy change very often. Couple of months ago Google decides to rank the sites best on their contents. That means they said they will consider the quality of the contents of a site. Whatever the case is you should try to build up links on higher PR sites. And at the same time your content must be good, unique and interesting too. Now I will talk about few easy ways for creating backlinks. Yeah it's simple. But time consuming. Commenting: You can comment on other sites like blog, website, forum etc with your site's link. Make sure your comment is relevant, useful and attractive. Creating Accounts: Many websites let their users create an account with their own URL. So when you create web accounts make sure to include your URL there if you've that opportunity. Posting: There are many websites, blogs and forums where you can write. While writing on other sites try to relate your topic with your site's contents. And try to create link. If your post is popular you will get a good number of visitors as bonus! Submission: Submit your site in different free submission site. 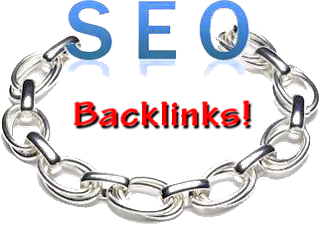 If your site's link is found in those sites it will be considered as backlinks. These are the main ways to create links or backlinks. There are many other ways. But they are nothing but the variations of the above methods. 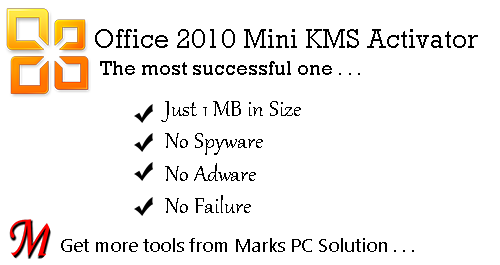 This is known as BB code anchor text. If you can successfully create anchor text you will only see Marks PC Solution. When someone click on it he will be directed to the URL of Marks PC Solution. Finally, you should know that, backlink is not only important for search engines but also important to drive traffic in your site! Today I've come with something special for you! This is about Microsoft Excel Training. You will get an Excel File with some popular excel sheets. How to Create Shortcuts for Symbols in Microsoft Word? Marks PC Solution: How to Show Text Boundaries in MS Word? How to Change Measurement Unit of Office 2003, 07 and 10? Marks PC Solution: Keyboard Shortcuts for MS Word (All Versions) etc. If you're using 2003 or earlier version then first open this file in 2007 or 10. Then you can save the file for using in 2003. Sometimes you may need to re size high quality images. Maybe you captured some photos by high quality digital camera. Most of the cases a photo maybe over 3 MB in size! If a single image is more than 3 MB in size and you have to send 30 images to someone by email then it maybe more than 90 MB. If your net connection is very poor or bandwidth is very limited then can you send these images to that person? What do you do in that case? Looking for a good network or not send at all? Well this problem has a very good solution. A 3 MB size photo maybe ideal for printing purpose. But only for viewing purpose it is not necessary to be more than 100 KB! And after re-sizing the image your 90 MB image folder will be less than 3 MB!!! Let's discuss how to re-size the high quality image. 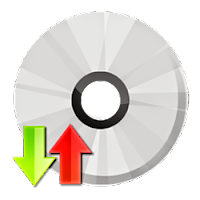 Download the Free Image Converter from this link. Free means free. It has no premium version yet. 100% free of cost. Now install this on your PC. It supports all running versions of Windows i.e. XP, Vista, 7 and 8. After installing you should find an icon of the image converter on your desktop. Double click on it to open. Click on the Add Images button to select few images. Or choose Add Folder option to choose a large image folder. Now have a look at the right panel- simple options. Select size and quality. Or keep it in default settings- size 800 * 60 and quality 70. Then hit on the Simple Convert. Now a new window will ask you to choose a location to store the converted images. Choose a specific folder or create a new one. Done! Just wait for the operation to be finished! Note: I've personally tested this software. I've converted my 1 GB photo folder. There were more than 400 photos. After converting the size it was just 20 MB! And it took less than 5 minutes! Quality was also satisfactory. 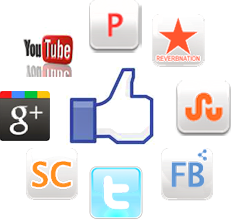 The Best Site for Increasing Likes, Shares, Followers and Tweets! There are many sites by which you can increase your site's traffic as well as social presence. But the best site, that I believe, is AddMeFast. Today I will talk about how can you boost your social presence using this site. Like other sites, you've to register for an account. This site doesn't support multiple accounts from a single IP. If you fail to register from your IP then try to hide your IP and register again. Click on the banner above and create an account with an email address. Then confirm your account from your email. Add your site from the left site of the page. Set your cost per click. Earn coins by following, liking and sharing others' pages. Manage your sites from the My Sites buttons. Don't forget to earn Daily Bonus! It will be just below to the My Sites button. One last thing you should remember- This site is great for increasing Facebook Page Likes, Twitter Followers and Tweets. Though graphical user interface has almost smashed away the command line, still keyboard shortcut is very popular among professionals. Still it is the best way to get out the best from any software. Because graphical user interface may let you easily use the software but keyboard shortcuts can give you the productivity. At first open MS Word. Then go to Symbol (Word XP and 2003 users will find it under Insert Menu. And Word 2007 and 2010 should go to the Insert Tab then at the right side there will be Symbol option. Then choose More Symbols from down arrow). Now you will see the Symbol Window with many symbols arranged under different fonts. Select the Symbol or Character you want to make a shortcut for. Finally hit on the Assign button. Or if you wanna remove the previous one then hit on the remove button. That's it. Note: Some characters may already have shortcut key combination. You will see the combination when you are in the symbol window. It will be right to the Shortcut Key button. Google is something that net user can't ignore. Without Google net world is incomplete. Though Facebook is growing fast and already have more than 1000 million registered users. Still many people don't have FB ID. But there might not be a single person who uses net but doesn't use Google. Most of the people know that Google has many products and services. Search Engine, YouTube, Blogger, Gmail and so many. Today I will discuss about a small but great service. This is Google Translate. Even you can suggest the correct translation if something is wrong. Translating few words or sentences: Go to Google Translate. Type or copy the text in the left box. Choose your language. Or if you don't know the language then choose detect language. Now select the language that you want to translate to. Click on the translate button. Translating Document: If you would like to translate a whole document saved in your hard disk then visit Google Translate first. Click on Translate a document. Then choose your document and upload it. Now click on Translate button. Don't forget to choose the target language! Translating Web Page: If you wanna translate a web page then copy and paste the URL in the left box. Select your desired language and click on the Translate button. Whole website will be translated in that language! If you see any wrong translation then please correct this. There you will find an option to contribute better translation. Day by day cracking has been a tough job. But yet very possible. Earlier a software may require only serial key to activate. But today there are many other options. Sometimes you might be asked to connect to the internet to activate or sometimes you're asked to make a phone call! After installing a trial version of Office 2010 you're allowed to use it for 30 days only. After that it will ruin your peace. It will give you continuous love messages each time you start office. Today I'm gonna share an activator by which you can activate Office 2010 and stop unwanted love messages by MS Office 2010! This is named as Mini KMS.mp3 and you've to rename it as Mini KMS.zip. Warning: If security software/ browser/ any other tool shows warning, don't believe it. Simply avoid the warning and use it . . . This KMService will activate Office 2010 for 180 days or 6 months. After finishing this time period run the same process. This KMS works for more than 90% of the users. However in few cases it fails to activate your Office 2010. I don't know the actual cause behind the failure. If you're one of the unlucky persons then you can use another method. Though boring, you can rearm your office for every one month. Sometimes this activator works properly after rearming! If you face any problem, don't hesitate to knock me . . . Dot Net Framework 3.5 Not Installing on Windows 8? Fix it Now! How to Make Your XP Genuine- Just by Double Click!! Firefox is one of the top browsers. Though its market share is falling down. But still more or less 40% net users (NB: It varies time to time) use Mozilla Firefox as their default browser. Ask why? Due to its thousands of popular add-ons, compatibility with most of the websites etc. etc..
As used by large number of users, there are also a large number of complaints. A common complaint is made by the users who use limited bandwidth is- Automatic Update. Because Firefox is a popular browser, this is the choice of hackers to attack. So, Mozilla provides updates very frequently. Then go to the Advanced Tab. Now hit on the Update option as you can see in the image below. Then you can choose any option under the Firefox Updates option as you like. I recommend to choose: Never check for updates. That's it. Sometimes you may need to share images with someone. You can simply mail him. Or you can share images in Facebook, Google Plus or in any platform. But this may not satisfy you. Maybe you wanna share with specific people. In that case you can use free image hosting service. There are many websites that provide this service. I recommend you Postimage.org. And this is very handy and popular too. You can also register for free if you need to use the uploaded images in the future. After uploading you will get some links. These are the links that you can share with your friends, blogs, forums or websites. For normal purpose use the URL that appears in the Link box. If you wanna keep it further then register for a new account first. Then you will see a button named My Images. Your uploaded images will be stored there. Even one year ago people were very interested to use Firefox. They were leaving Internet Explorer and moving to Mozilla Firefox. People are still moving from one browser to another. But this time they are moving from Firefox or IE to Google Chrome. Google Chrome is an open source browser. And more than half of total net users are using it now. Its interface is very simple and good looking. Where Firefox looks very boring. Still people would like to use Firefox due to its exclusive add ons. But chrome is also trying to rich their amount of extensions. Chrome contact Google too much. It tries to monitor your online activities and sends information to Google. Certainly this is a threat to your privacy. And Iron don't do anything like chrome. Chrome creates an unique user ID (!!!) when you install it on your PC. This ID helps Google to identify you. When you type something in the address bar, chrome sends information to Google what you type in the address bar! Google tries to customize your search according to your need. But people don't like it. Chrome installs an automatic updater when starts that runs in the background. Chrome doesn't have built-in ad-blocker. But Iron has it. And you can use Google Chrome avoiding its limitations and difficulties just by using Iron. All the problems discussed above is not present in SRWare Iron. It lets you browse with safety, security and reliability. If you're interested to know detailed information about Chrome Vs. Iron, then visit here. Today I'm gonna talk about changing the measurement unit of Microsoft Office. You know what is measurement unit. This is the unit by which you can set up your page size, margins etc. etc.. But sometimes it may be changed due the change in the language option. Or other program may lead the change. Whatever the reason you might be in trouble due to the change in the measurement scale. Or sometimes the default settings might not be in your favor. For example, you would like to work in inches. But default setting is centimeters. And you may not know that 1 inch equals to 2.54 centimeters. And this is very irritating too. Ok let's see how to customize the measurement scale. I'm gonna discuss about all the running versions of Microsoft Office. Open MS Word > Tools Menu > Options > General > Measurement Units > There are 5 options: Inches, Centimeters, Millimeters, Points, Picas > Choose any of them that suits you > Hit OK.
Open MS Word > Hit on the Office Button from top-left corner > Click Word Options Button > Choose Advanced from left pane > Now scroll down to the Display section > Show measurement in units of: choose any of the units from the drop down box > Hit OK. Couple of weeks ago I discussed about Pagespeed. It was about how much faster your site is according to Google Pagespeed. Today I will discuss about Web Page Optimization that is very similar to pagespeed topic. Bloggers are too much busy with SEO. And many of them are not interested in WSO. But they don't know Web Site Optimization is also a part of SEO. 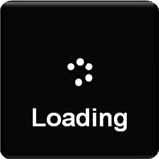 A site that takes huge time to load will be deprived of returning visitors. But Google focus on Returning visitors while considering page rank! Today's discussion about the loading time of any website including blog or forum. In Google Page Speed there you can get only a score out of 100 with few suggestions. But in WebSiteOptimization.com you will get a detailed information about what to do to improve the loading time. Retype the captcha character in the box provided and hit on continue button. Now you get the report of your site in detail named as Web Page Speed Report. In this report you will get necessary information about your whole website. Each element of your site will be discussed separately. Thus you can understand which parts of your site need to be optimized. Number of Objects: Make sure your total number of objects is less than 20. Object may be any graphic designs, buttons etc. The more the objects in your page the more time it will take to load. Because it may increase HTTP requests. Image Size and amount: You may like to use more images. But excessive use of images will increase the loading time as it may increase HTTP requests. Number of CSS Files: Don't use too much external CSS files. Because they are placed at the head of your HTML and need to be load faster than any other contents. So keep as few CSS files as possible. Size of the Page: Keep the total size of the page within 100 KB if possible.